A house was razed in an hour-long fire in Barangay Danao, Panglao at past 10 a.m. on Friday. No one was injured but the blaze left P70,000 worth of property damage, said FO1 Ferdinand Emman of the Panglao Fire Station. 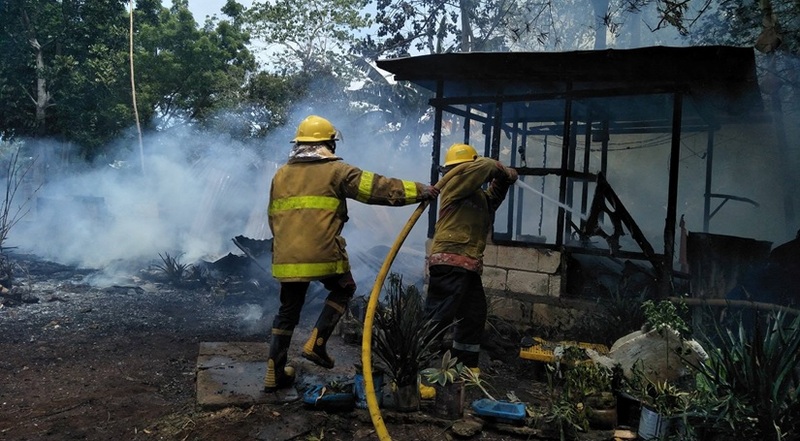 According to Emman, the fire may have been caused by an overcharged flashlight based on the statement of the Reloma family which owned the house. It took 30 minutes for the firefighters to contain the blaze. Emman said that they were alerted at around 10:55 a.m., some 30 minutes after the fire broke out as the house was empty and neighbors did not notice the flames right away. The house was almost burned to the ground when they arrived, Emman added. Estimated property damage of P70,000 still did not include the Rolamas’ appliances such as television, air-conditioning unit and refrigerator, among others. Emman also noted that the house was mostly made of light materials. The Relomas were not home during the fire as they were at work and school.